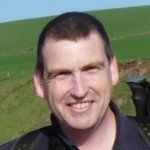 The Coast to Coast guide book market is never going to be an easy market to penetrate, not only are there several guide books already available for Britain’s premier long distance path, but the benchmark is already very high – set, in my opinion at least, by Henry Stedman’s (Trailblazer) guide, a new edition of which is imminent. At first glance though the new book from Rucksack Readers could be just the book to redefine the benchmark and grab a large share of this fiercely competitive market. It looks and feels like a quality publication. The internal pages are spiral bound in approximately A5 size with a sturdy plastic-coated card folder protecting them. The spiral bound format makes it simple to open and keep open at the right place and the stiff card sleeve makes a useful book mark. The book uses colour photographs and coloured text throughout, not just sporadically as most other guides do and this makes for a very pleasant reading experience. The guide is 112 pages in length and according to my scales weighs in at 283g and is perfectly sized for a cargo pocket or map pocket. 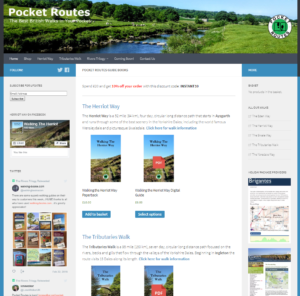 The first 37 pages are given over to planning and preparation notes and some background to the National Parks, Wainwright and Wildlife amongst other things – all essential items for any guide book. The remaining 70 pages or so cover the route. I also like the inclusion of gradient profiles for each of the days described in the book, these are coloured coded to show altitude and key locations are identified along the profile with a red dot. The book covers the walk in 15 stages, which is probably a day or two longer than most people take – as people tend to try and fit it into 2 weeks holiday from work. As all good guide books should be in this modern, Internet-aware age, the book is supplemented by an informative website, the crowning jewel of which is the interactive Google map of the whole route, complete with many points of interest identified. The website will also be used for future addendums (addenda?) and updates and also as a repository for all the links that are listed in the Reference section at the back of the book, so much easier than typing them in manually. However, there are one or two things that left me feeling that perhaps the book hasn’t gone quite as far as it could have. One of the great things about the Trailblazer guide is the amount of detail that’s included. You could prepare, plan, book and walk the whole C2C with just the Trailblazer guide and without reference to any other material. The Rucksack guide barely touches on accommodation. I understand why – B&Bs change so quickly and there is already a great guide out there written by Doreen Whitehead (which the Rucksack website links to), so perhaps it’s a forgivable omission. The biggest issue for me however, is the occasional lack of detail on the route itself, surely the raison d’être of a guide book. In my honest opinion, there are sections of the route where a walker is going to struggle to navigate by either the map or the route descriptions alone. Take the section from Rosthwaite to Patterdale for example. The section from the foot of Lining Crag to the head of Far Easedale includes the notorious Greenup Edge, one of the most common places that people go astray on the C2C – this is covered in four short sentences across 2 bullet points in the book. In this section also, there is no mention of the Helm Crag route, which as far as AW was concerned was the preferred route rather than an alternative. The book points out the High Stile alternative, but does not provide a description or a map and no mention at all is made of the Helvellyn or St. Sunday routes. However, a low level alternative along the Swale, between Keld and Reeth, is identified and full details are provided for the seasonal variants over Nine Standards Rigg. The book includes 28, 1:50k scale strip maps, based on the Footprint Maps, complete with contour lines, surrounding features and the route highlighted in yellow. 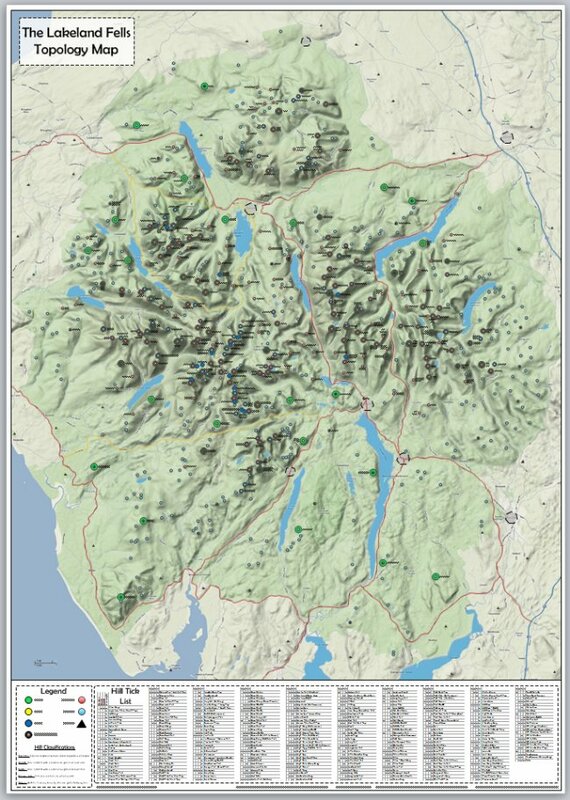 Although this scale of mapping is going to be sufficient for the vast majority of the route, there are going to be places where the reader would want that extra level of detail such as walls, becks and other items that are present in more detailed maps, particularly when navigating through fields and farmland. The walk directions and maps are also based around a 15 day schedule, so for example, if you want to walk from Shap to Kirkby Stephen, as many people will, the book guides you through Orton, as it uses this village to break this admittedly long stage into two. The map does include the usual route past Scar Side and Scarside, but there is no side note to suggest that Orton can be bypassed and a mile of road walking avoided. A small point admittedly. The written directions and the maps are presented on opposing pages, the words on the left relating to the map on the right and as such it would be useful to relate the note you are reading to a location on the map. Or, better still, take the mile number (all of which are highlighted on the map page) and embed the same number in the appropriate place in the text on the left. As it is, you tend to have to search around on the map for the place the text is referring to, or vice versa. I like how readable and visually attractive this book is, but I’m concerned that there are some sections of the route that could benefit from more detail. However, if you prefer to walk using route descriptions rather than maps then you are better served by this book than you are by the Trailblazer guide. The lack of accommodation information within the book is almost a moot point, as nowadays so many people use the Internet to arrange bookings. 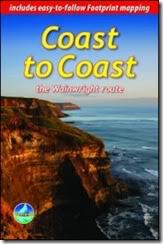 Finally, the lack of Wainwright alternatives such as the Helm Crag route is a disappointment, especially when you consider the title of the book “Coast to Coast – the Wainwright route”. The book is available for pre-order, costing £12.50 and due out in mid-March. See here for more details.